I have to start this entry by stating that I am pretty sure this is the best dish I have ever made. Ever. Oh, and did I mention, EVER? Remember the other day when I mentioned I’ve been obsessed with How Sweet It Is? Well, that blog authour has exceeded my expectations so far, with the Asian Turkey Burgers two nights ago, and today’s recipe. Normally, for lunches at work, I bring leftovers of whatever was for dinner the previous night, or if there are no leftovers, I try to throw something together, to avoid spending money in the cafeteria. 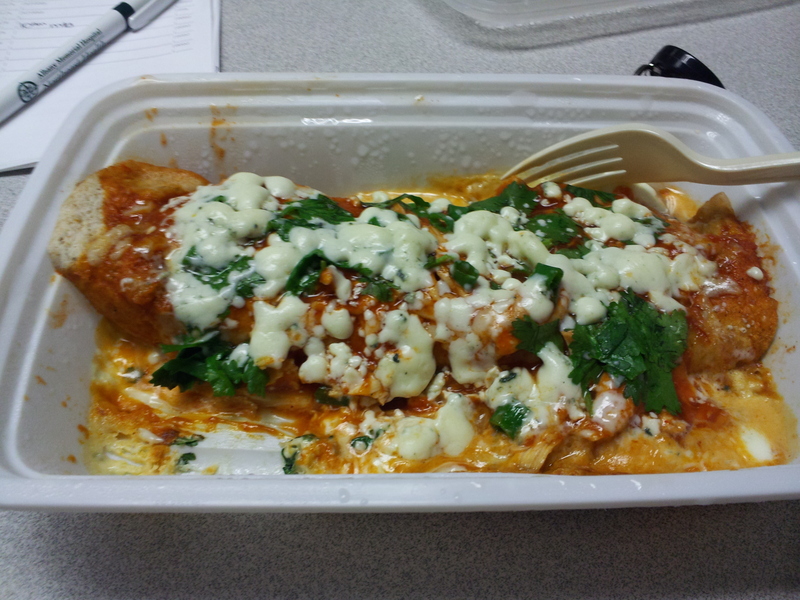 While menu-planning for this week last Sunday, I decided to make these buffalo chicken enchiladas – what an easy way to have super-yummy lunches! I have them in the fridge and just heat them up when I get to work (which I did today). 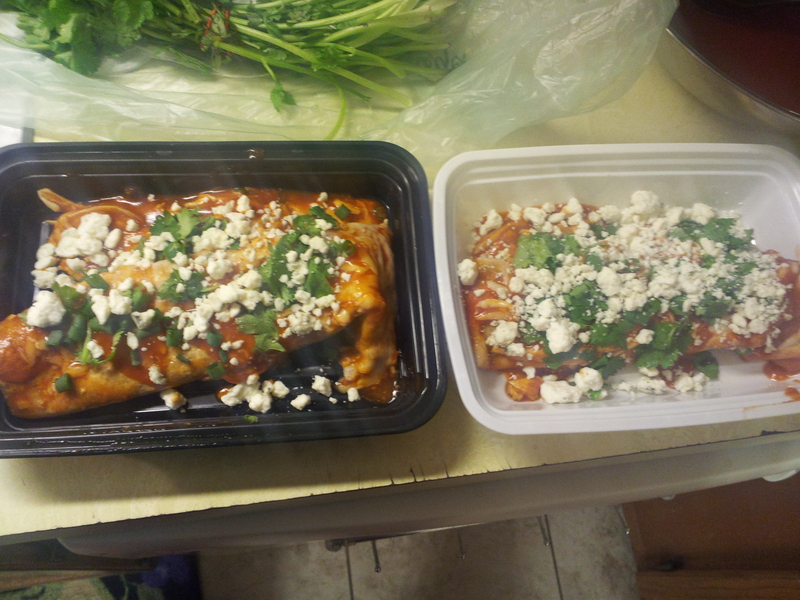 I garnished each individual enchilada with green onion, cilantro, and gorgonzola cheese, and they heated just fine in the microwave. Seriously, this recipe is fan-freaking-tastic. Today’s lunch, after heating it up!